Sophisticated DETACHED home offers over 2480 sq.ft. of dev. living space & is completely loaded with upgrades! 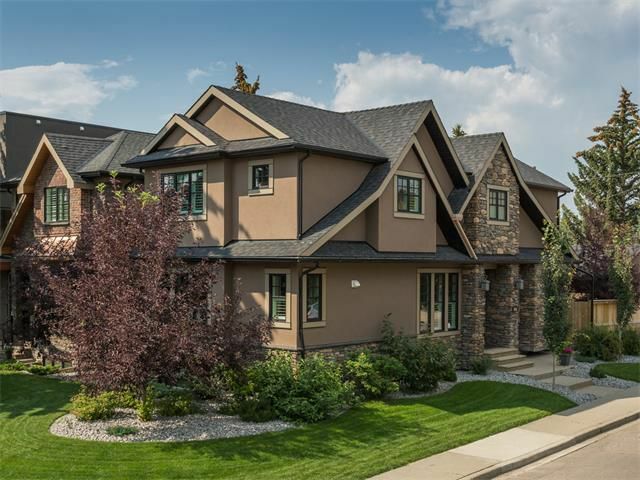 Featuring 4 bdrms, 3.5 baths, gorgeous LR with GAS Fireplace & custom built-ins, walnut flrs, WINE CELLAR, beautifully landscaped WEST back yard w/irrigation, A/C, FF double garage & is located in the heart of MARDA LOOP! The main floor boasts a chef’s kitchen featuring HIGH END APPLIANCES w/Bertazzoni gas range, granite, woven glass backsplash, corner pantry & breakfast bar & nook. The Master comes complete with custom walk-in closet, 5-pc en-suite with a STEAM shower & CLAW FOOT TUB. High end finishing throughout: crown moulding, heated floors, custom closets, 10mm glass, Kholer sinks/toilets, Grohe fixtures, solid core 8’ doors, etc... This home is also fully networked & automated with touch-pad audio controls throughout, built-in speakers, 5.1 sound surround with projector hook-up, security camera, cable, phone & Cat5. 5 min to DT, walk distance to Marda Loop, schools, & River Park.